Monday - Friday 8 a.m - 12 p.m. & 2 p.m - 9 p.m.
Saturday 8 a.m. - 12 p.m. & 2 p.m. - 8 p.m.
Doctors are available for appointments or walk-in patients. 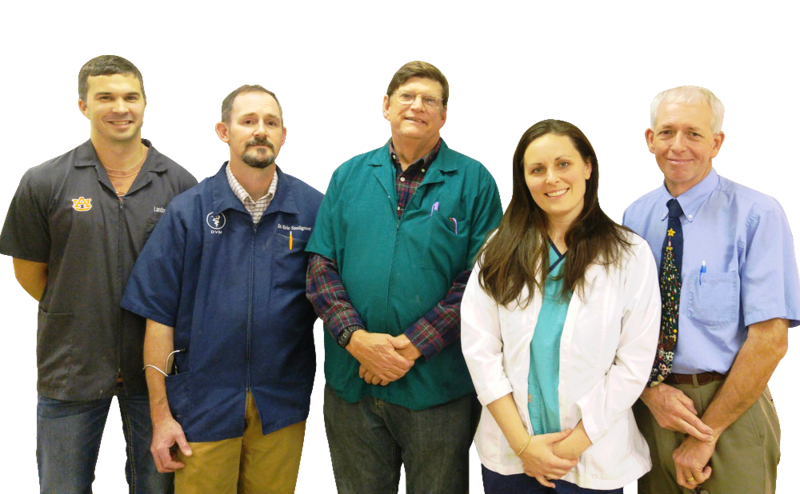 We are a collaborative team of six veterinarians with 123 years of combined experience and a support team of 33 caring people who work together to provide the McCalla area with premium quality pet care at affordable prices. One of the advantages of having several doctors working together under one roof is that we get the benefit of each other's experience and expertise when diagnosing and treating difficult cases. You get over a century of experience when you leave your pet in our care. 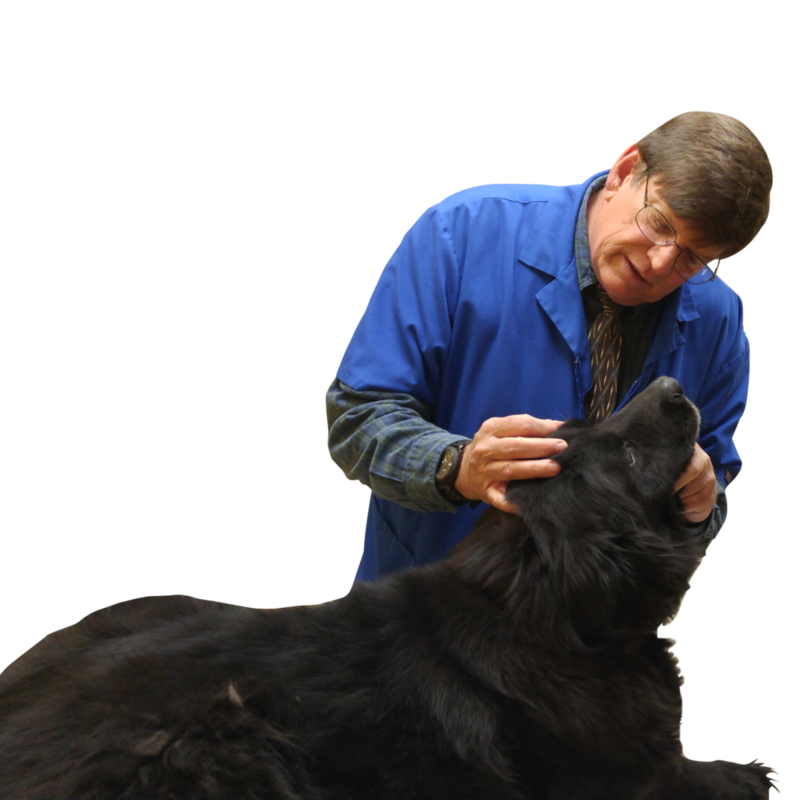 Our mission is to care for you by caring for your pet. Our experienced veterinarians can see your pet any day of the week, even without an appointment. We have accommodations for toy breeds, standard runs, and 50 sq. ft. condos big enough for your whole pack! Each dog is walked in our high-fenced lawn several times daily and enjoys prescription food designed to be easy on your dog's stomach. We do everything possible to keep your kitty relaxed and happy. Because the cats love them, each one gets a cardboard box to curl up in for naps. They dine on premium dry and wet food, soft blankets, and have daily play time in our custom-built kitty condo. We are happy to care for birds, snakes, lizards, rabbits, ferrets and many other exotic pets. We have a thorough discussion about each exotic's pet's specific needs and care procedure when you make your reservation. Dental cleanings are important to maintain your pet's health. Without cleanings your dog or cat is highly susceptible to tooth loss and nasty infections. We clean below the gum-line where bacteria build-up causing periodontal disease. With a machine similar to what your dentist uses, we scale each tooth, removing plaque and tartar from the crown (visible part of the tooth). We finish by polishing each tooth so that the surfaces are smooth, making it harder for bacteria and plaque to stick to the teeth. This procedure must be done under general anesthetic. We strongly suggest getting your pet fixed by 6 months old. Doing it early is the best way to prevent bad habits from ever setting in but it is never too late to have your pet fixed. Each of our surgeons have performed hundreds of successful spay and neuter operations and have a veterinary technician monitoring anesthesia and the patient's vitals at all times. After the procedure, pets are transferred to recovery where they are closely monitored as they wake up. If you would like, we will call with an update when your pet comes out of surgery. Once awake they are moved to the hospital where doctors and techs monitor their progress and judge their comfort level. Surgeries are scary. No doctor can guarantee that nothing will go wrong but we always do our best to achieve a good outcome. We strongly believe in being straightforward with our clients before any procedure. We will always have a discussion with you about the outcome we hope for, the risks your pet faces and provide you with a printed cost estimate. We don't offer payment plans, instead we accept Care Credit. We strongly recommend pre-anesthesia blood-work which we run in our lab immediately prior to the operation. We also offer our clients the option of pain management medications during the overnight hospital stay.